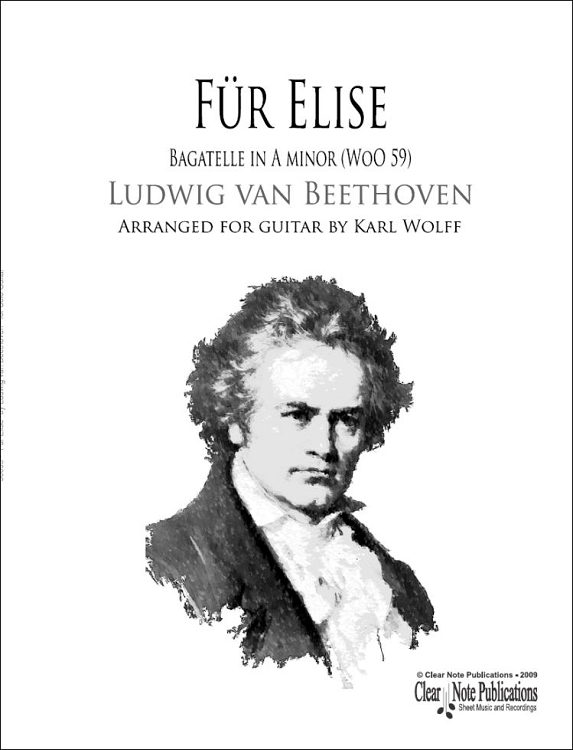 "Für Elise" (for Elise) is the popular name of Beethoven's Bagatelle in A minor (WoO 59). 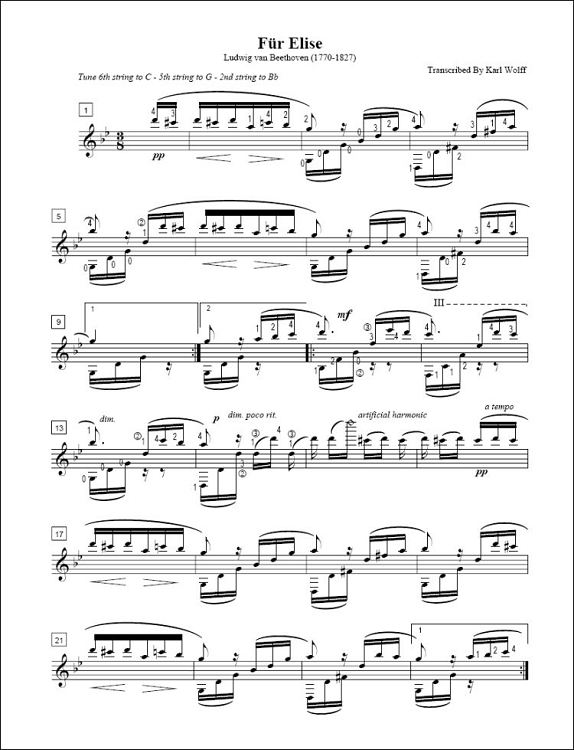 This expressive, intimate and much played composition by Beethoven has been transcribed for solo guitar numerous times. In this transcription, which makes as few compromises to the original score as is possible, I'm taking the piece to a more advanced level technically to create an arrangement that is as accurate an interpretation of the original piece as is possible on solo guitar. 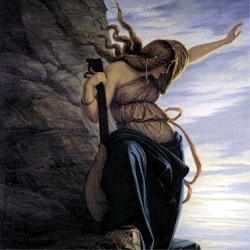 This solo guitar arrangement requires intermediate to advanced technique with some short passages above the 12th fret. The guitar is in a drop C tuning, with the second string lowered a semitone to accommodate the expensive range of the lyric arpeggios. This altered tuning allows the piece to be played with resonating Legato and maintains the relationships of the original lines and harmonies that Beethoven composed.